Moving on to garage decluttering! The garage is a BEAST of a space. 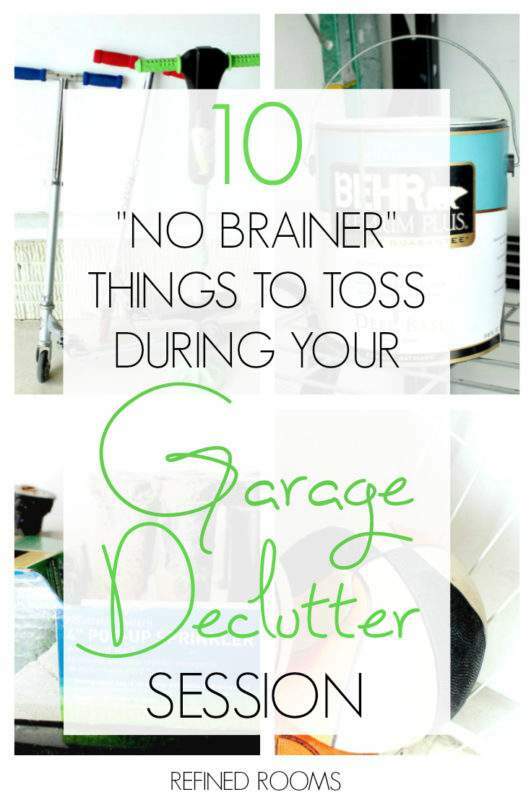 And garage organization just so happens to be the focus this month in the Organize & Refine Your Home Challenge, I've compiled a list of 10 "No Brainers" (and a BONUS item) that you can immediately place into the "toss" pile during your garage decluttering sessions. 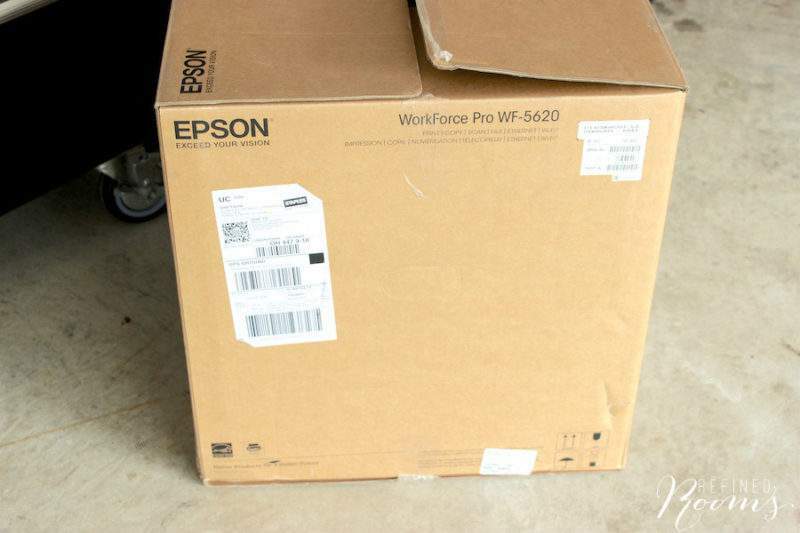 Another common clutter culprit that I often came across during garage organizing jobs is the empty cardboard box. I know. You’re saving the box for that item just in case you need to return it or send it off for repair. But the fact of the matter is that these boxes are preventing you from parking your car in the garage. 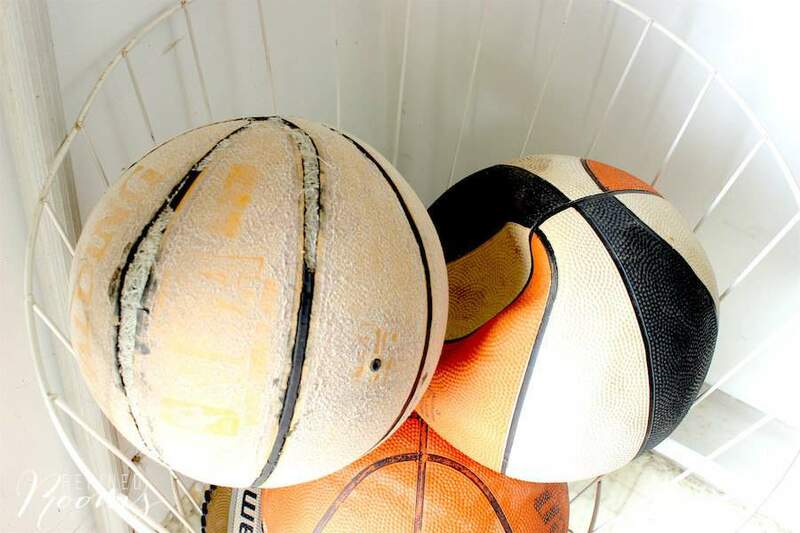 If you have an attic, it’s the perfect home for these bulky, space-sucking items that have a rare chance of ever being useful. Better yet, use empty boxes to temporarily store all of the other items you decide to toss or donate during your declutter session! 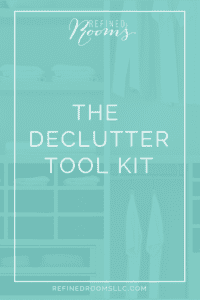 Just be sure not to get stuck in the toss step of the decluttering process (read more about this issue in my Organize Like a Pro post).